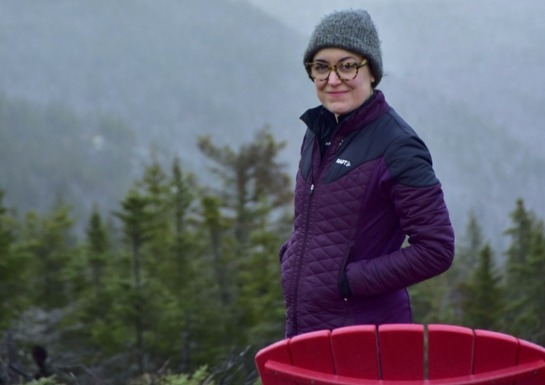 Parks Canada and Cape Breton Centre for Craft & Design are pleased to announce that Amélie Jérôme has been chosen as the Artist in Residence in Cape Breton Highlands National Park this fall. Amélie is an abstract painter from Montreal. She has a Bachelor of Fine Arts from Nova Scotia College of Art and Design and a Master of Fine Arts from York University. Amélie has participated in eight group exhibitions and has held four solo exhibitions over the last several years. Amélie is spending six weeks in Cape Breton Highlands National Park using the natural surroundings and setting as inspiration to create visual art. The Artist in Residence program provides an opportunity for a professional artist to focus for a concentrated period on developing new projects, or to work on existing projects within quiet, natural surroundings. The program includes a public access component that provides an opportunity for the public to see the artist at work. 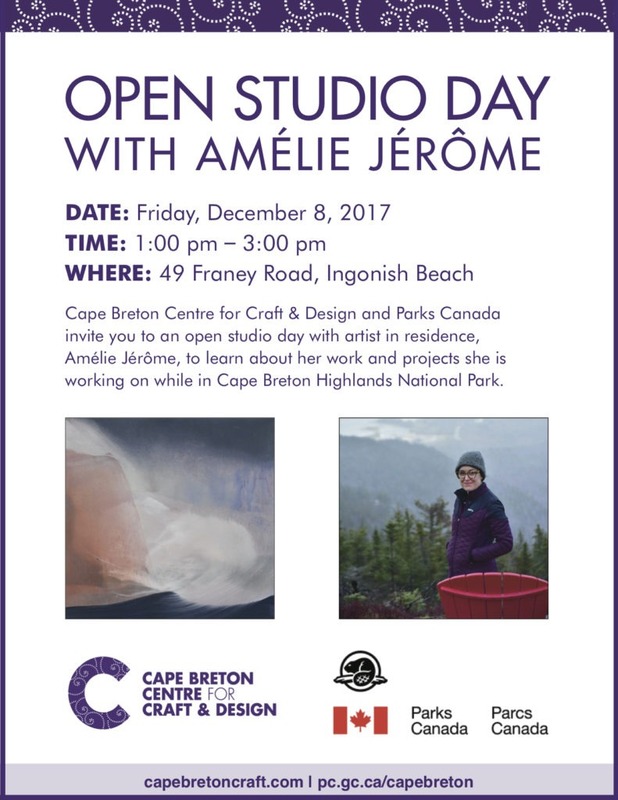 In this case, Amélie will have an open studio day on Friday, December 8 from 1:00 p.m. – 3:00 p.m. The public and local artists are invited to meet Amélie and learn about her art.